Welcome to your next stop of the ROBYN’S FETISH CHALLENGE BLOG HOP! You should have arrived here from Laurence's blog. 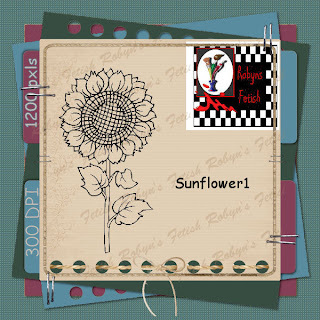 For my project I used Sunflower1 Digi. I like this digi so much I printed it few times. Here's the card I made using it. Coloured wih copic markers. Paper I used is Melissa Frances - Attic Treasures Collection. I also added some twine and brads. And since I have printed this image several times, I decided to make a bookmark that would match the card and would be a nice addition to it, a small useful gift. Inside I added a little strip of paper that holds my bookmark. Don't you just love this image? Maybe you'll win this one as a prize after you hop through every blow? The GRAND PRIZE is the Winner’s choice of 5 of the NEW FALL digital stamps. There will be 5 winners that will each receive 1 of the NEW FALL digital stamps. These images will be the image that is “hidden” on 5 DT members’ blogs. Your NEXT STOP along the hop is Marlene's Blog. Please be sure to visit all of the stops on this hop and leave a comment on each blog. In your comment, please tell me if you are already a follower of my blog or if you have just become a follower. You must be a follower to be eligible for a prize. 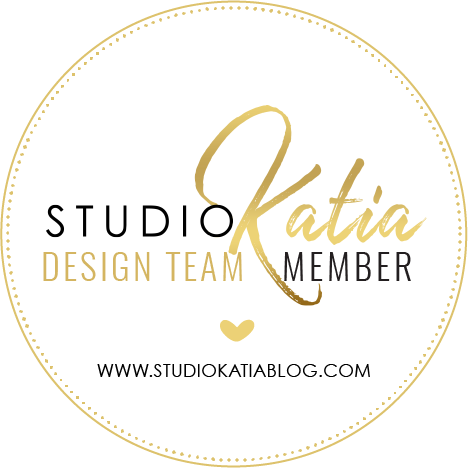 This Blog Hop ends on October 17th, so you have plenty of time to visit every blog and leave a comment! All the new digis will be available at Robyn's Fetish Store after this Blog Hop ends, and you can by them at 35% off thanks to the Autumn Sale!! I LOVE the way you have twisted the twine around! It makes an amazing background!! Your sunflowers look so real! Ahh! Fall is here!! Just love your idea of printing it several time, and add a bookmark....Waouh!!!! Your colouring is very nice, thanks for sharing. Wow, this is just wonderful, love the added book mark too! I think so far this digi is my fav! You really did a super job on your card and BM! I signed up to follow you. Lilia, these sunflowers are AMAZING!!! 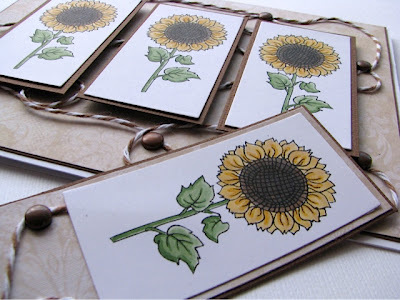 I love how you have colored them and used them on the card and bookmark! They are so autumn-like. Very nice!!! Beautiful job with the sunflower and I love the matching bookmark. Lovely way to showcase this new image. Great idea to make bookmarks, too. 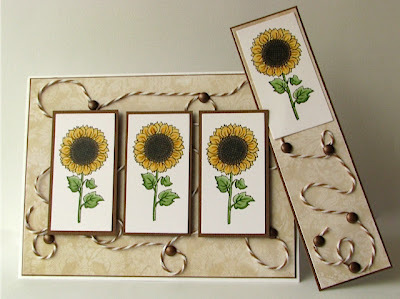 I like the soft, pastel beige background paper and the way you added the twine. Wonderful creation! 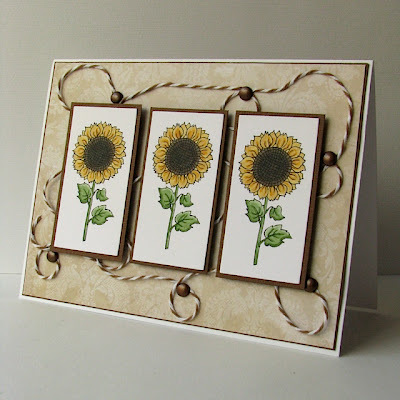 I love sunflowers and your card rocks girl. I love it. I am a follower. 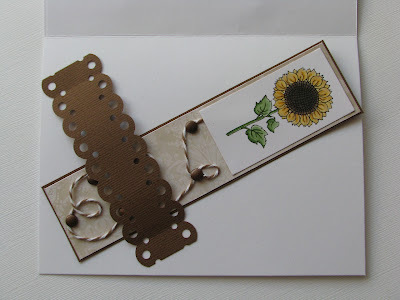 Love the matching bookmark idea! very delicate card~ Love it! this is sooo lovely!! and I love the string :) It is great that you added a bookmark also, nice idea! I love this digi too Lilia !! What a great card and bookmark !! This is so clever, love the bookmark on the inside! Great coloring! Great card & bookmark Lilia! I love how you have the twine "wandering" around the card!